Mrs Hadiza Tijani Sule Momoh was appointed chief coordinator, PTI consultancy services limited on 13th October, 2017. Until her appointment, she briefly covered the duties of the Director of science and also previous Head of Department, petroleum marketing and business studies (PMBS). She is a highly experienced Applied Economist (Managerial and petroleum Economics). She holds a B.SC degrees from Ahmadu Bello University (ABU) Zaria and MSC from the University of Benin. Mrs H.T.M Momoh is passionate about developing the Nigerian and African economy through social and mental transformation. 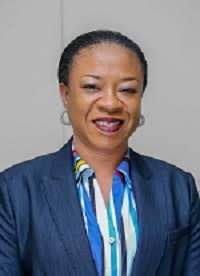 Her areas of interest include, economic analysis of the impact of foreign direct investment on the Nigerian Petroleum industry, economic benefits of biogas as an alternative source of energy for sustainable development in developing economies as well as promoting women in the energy industry in Nigeria. She has devoted her time and skills in re-engineering the thought process of young individuals towards profitable social impact through the HND and ND petroleum marketing and business studies programmes at PTI. She is a professional member of Nigerian economic society (NES), American Economic Society (AES), National institute of marketing, Nigeria (NIMN), National institute of management (NIM), institute of cost management (ICM) and Society of Petroleum Engineering (SPE).